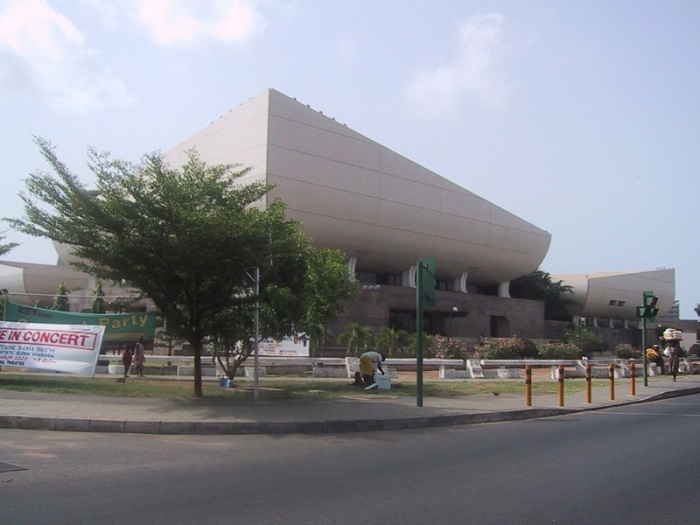 The National Theatre of Ghana is the official seat of a cultural institution that is located in the capital city of the Republic of Ghana, Accra. 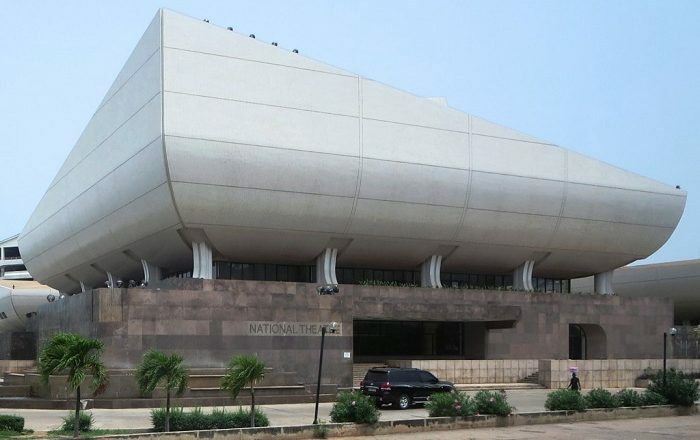 Located more precisely on the corner of the junction of the Liberia Road and Independence Avenue, this modern, yet very futuristic structure is becoming one of the most recognizable buildings from Ghana. Built in 1992 as a gift from the Chinese government, the architectural style is somewhat complicated due to the molding and novel exterior features. 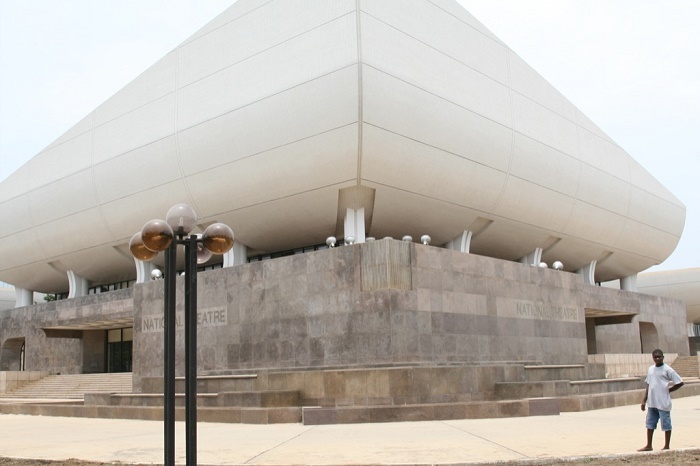 Inspired by African arts such as abstract mosaic murals, local dances and powerful movements, there are some architects who claim that the building looks like a giant ship or even a seagull spreading the wings. 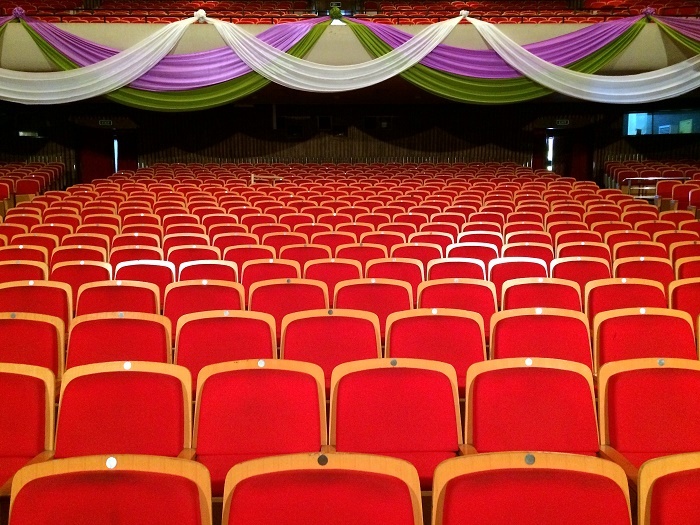 The interior is spread on about 11,896 square m (128,050 square ft), the big auditorium has a capacity of 1,490 seats and a stage with dimensions that are measured to be 16 by 17 meters (52 by 57 feet). 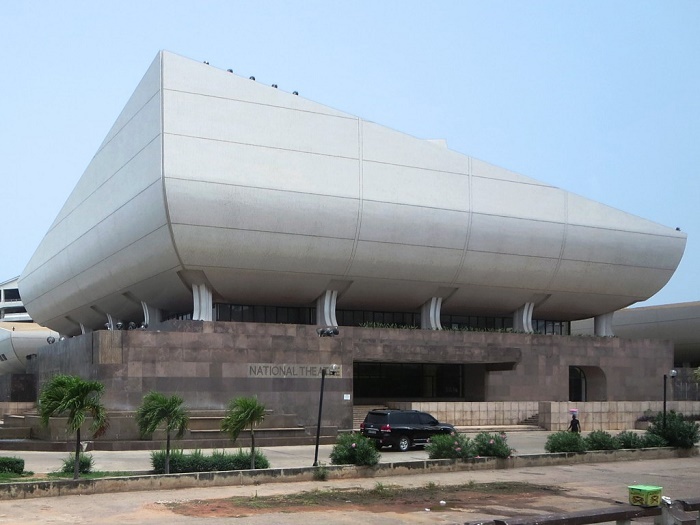 Within the premises of the National Theatre are the National Dance Company, the National Symphony Orchestra, and the National Theatre Players, which are certainly being able to bring their art to the highest possible level in order for the people to enjoy while visiting their events. All in all, a true magnificent landmark of Accra that definitely deserves to be mentioned in every promotion material about Ghana.